WASHINGTON -- A cache of more than 19,000 emails from Democratic party officials, leaked in advance of Hillary Clinton's nomination at the party's convention next week in Philadelphia, details the acrimonious split between the Democratic National Committee and Clinton's former rival, Sen. Bernie Sanders. Several emails posted by Wikileaks on its document disclosure website show DNC officials scoffing at Sanders and his supporters and in one instance, questioning his commitment to his Jewish religion. Some emails also show DNC and White House officials mulling whether to invite guests with controversial backgrounds to Democratic party events. On its web page, Wikileaks said the new cache of emails came from the accounts of "seven key figures in the DNC" and warned that the release was "part one of our new Hillary Leaks series" - an indication that more material might be published soon. Among the officials whose emails were made public were DNC spokesman Luis Miranda, national finance director Jordon Kaplan and finance chief Scott Comer, but other DNC and media figures and even some White House officials communicated with them between January 2015 and last May, Wikileaks said. 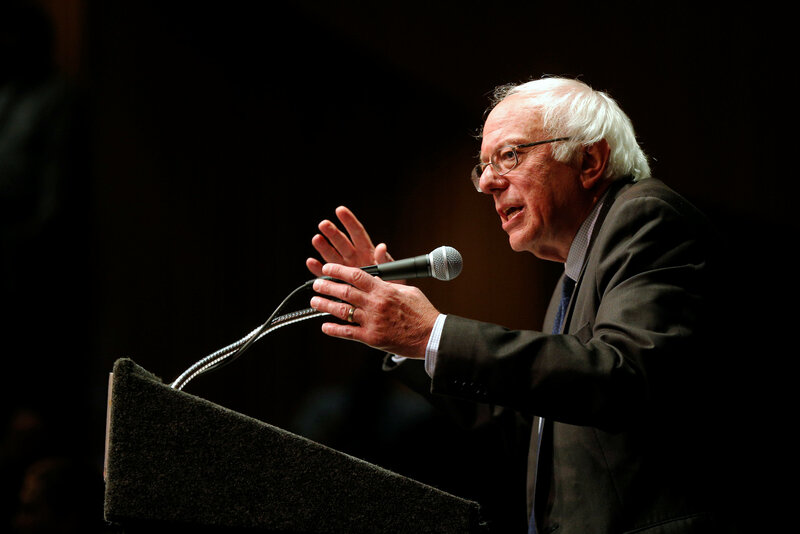 The emails include several stinging denunciations of Sanders and his organization before and after the DNC briefly shut off his campaign's access to the party's key list of likely Democratic voters. The DNC temporarily curtailed Sanders' access to the list in December 2015 because the organization accused the insurgent campaign of illegally tapping into confidential voter information compiled by the Clinton campaign. The Sanders campaign briefly sued the DNC but the party reached an accord with Sanders and the suit was dropped in April. The emails show that after the furor over the voter records was resolved, hostility simmered from top DNC officials over the Sanders campaign. In mid-May emails with Miranda, his deputy, Mark Paustenbach, questioned whether the DNC should use the voter record furor to raise doubts about the Sanders campaign. "Wondering if there's a good Bernie narrative for a story, which is that Bernie never had his act together, that his campaign was a mess," Paustenbach wrote. Miranda spurned the idea, although he agreed with Paustenbach's take: "True, but the Chair has been advised not to engage. So we'll have to leave it alone." The same month, in another email to DNC officials, another official identified only as "Marshall" said of Sanders: "Does he believe in a God. He had skated on saying he has a Jewish heritage. I think I read he is an atheist. This could make several points difference with my peeps." The Associated Press emailed Miranda, Paustenbach and DNC chief financial officer Brad Marshall about the Wikileaks releases but they were not immediately available for comment. Sanders campaign manager Jeff Weaver said Saturday that the emails show "what many of us have known for some time, that there were certainly people at the DNC who were actively helping the Clinton effort and trying to hurt Bernie Sanders' campaign." Weaver said the emails showed that the DNC's "senior staffers" attacked Sanders about his religion and had roles in "planting negative stories about him with religious leaders in various states." Weaver also said the emails may make it harder to promote party unity as Sanders' supporters mix with Clinton's majority at the Philadelphia convention. Sanders endorsed Clinton and appeared with him earlier this month in Vermont, but there are concerns over whether some of his embittered supporters might sit out the election this fall. The new Wikileaks releases also included exchanges between DNC officials and White House event planning officials about whether to allow several influential Democratic party donors to attend events where President Barack Obama and Michelle Obama were scheduled to appear. The emails contained lengthy discussions about the donors' backgrounds, including, in some cases, criminal histories. One email exchange concerned whether to allow singer Ariana Grande to perform at a DNC event in the wake of an infamous online video posted on the TMZ website that showed Grande licking other customers' doughnuts at a bakery in California. DNC officials also worried about the singer's comment in the same video that "I hate America." Grande, whose real name is Ariana Butera, later apologized for the comment. According to the emails, White House officials vetoed Grande's performance.